After escaping her abusive parents, nineteen-year-old Kenna Sloane is determined to create an independent life, free of emotional distraction. The last thing this focused college student wants is a relationship, especially with a hot rookie cop popular with the badge bunnies. When Kenna reluctantly agrees to a double date with Santa Monica cop Donovan Alexander, she’s launched on an exciting and dangerous journey. With time, she discovers some souls are instinctively drawn together to quiet the pain of their traumatic pasts. But even after the revelation of Donovan’s own secret burden, Kenna continues to battle the fear she may be too broken for her modern day knight in blue. Can Kenna open her heart to the healing light of true love before peril strikes? I shift my body to face Donovan squarely. My eyes soften in sadness. He scans my face with tightness in his troubled eyes and a turned-down mouth. “I was worried you would lose respect for me once you learned of my secret and maybe even decide to move on,” Donovan admits. How could he think I would move on because of this secret? If anyone should be running, it’s him. I’m damaged goods. I’ve built walls around me so high I’m starting to wither from the constant shadow cast on my being. But Donovan has already helped me break through some of my walls and I’m being drawn toward the sliver of steady light streaming in that is him. We are both injured souls from our pasts. Maybe together we can help heal each other and walk hand in hand toward the happiness that we both deserve. Donovan gives me a half smile, zeroing in on his target of my lips. We lean toward each other with electrifying passion, pouring our unrestricted feelings into a kiss that never ends. He guides our bodies down to his bed and adjusts his torso over mine. The intensity of the kiss increases and we are all lips and tongue and teeth everywhere. Since childhood, Kaitlyn Stone has gravitated toward fairy tales and happily- ever-after's, forever chasing the first love dragon. 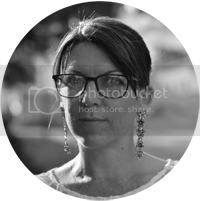 She is a self-professed adventure junkie, constantly talking her husband and family into some new life adventure, where they’ve learned to just buckle up for the exciting ride. When they do stay home, it’s in sunny Southern California located along the Pacific Ocean. 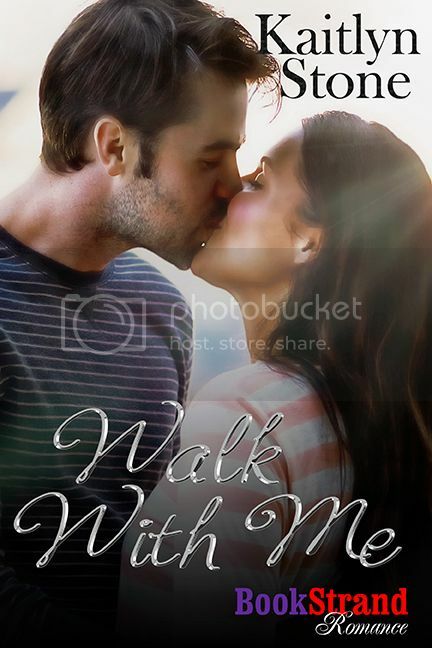 I’m stopping by all blogs who hosted me during my Release Day Blog Tour of WALK WITH ME by Kaitlyn Stone to personally THANK YOU for taking the time to host my book. And I’m glad I did, because I’m discovering some awesome blogs - like yours for example. The detail in your site is beautiful. I still have a couple ARCs if you'd like to review OR you can sign up for my website, www.kaitlynstone.com, to be alerted of news for my books. I will be looking for Beta readers and reviewers for Book 2 in The Thin Blue Thread series, TURN TO ME.